TheGardenLady has invited people with horticultural interests and expertise to contribute posts to this blog. The following post was submitted by Christy Baker, a certified Family Herbalist and Consulting Herbalist. Christy is currently pursuing a certificate in Horticulture Therapy and a second Master’s in Landscape Architecture. 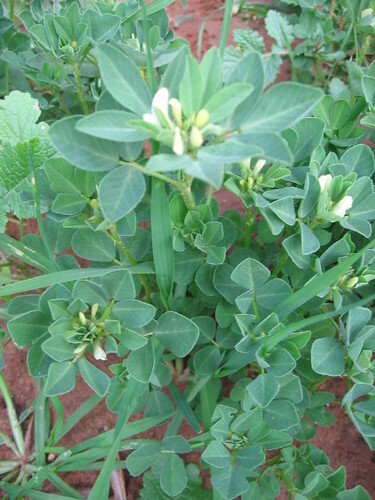 Fenugreek, triganella foenum-graecum, is also known as “Greek Hay” for its long time uses in the livestock industry. Fenugreek has been widely used to make sub par hay and animal feed more palatable. In spite of it’s usage with livestock, this 2 foot unassuming plant has some marvelous abilities when applied to the human species. Generally the leaves and seeds are used for medicinal and culinary purposes. Baby leaves are used in salads, mature leaves are dried and added to savory dishes and the seeds, well the seeds are so versatile and useful they could have their own aisle in any self respecting grocery store. Native to the eastern shores of the Mediterranean Sea, Fenugreek is also cultivated in India, Morocco, Egypt, and England. Assyrians were the first to cultivate this herb in 3000 BC and the Greeks and Romans used it as mouth freshener. Folklore claims that small breasted women would bathe in water infused with Fenugreek seeds in hopes of increasing breast size (no medical findings have been given to support this claim). 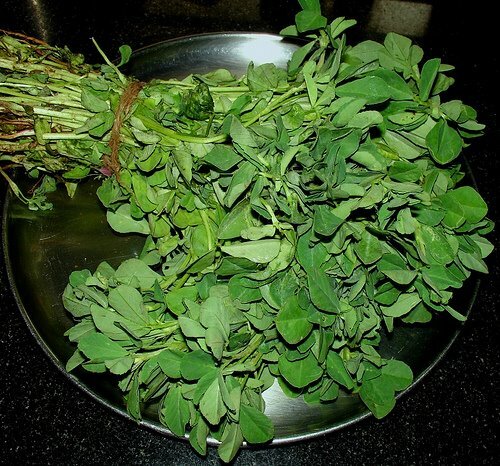 Fenugreek was widely used to induce childbirth and it was even used as an addition to hair conditioner. Today Fenugreek has been discovered to offer wide and varied medicinal uses aside from increasing breast milk production in lactating women. Fenugreek tea has been noted to reduce fever and menstrual pain; topically it can be made into an ointment and applied to alleviate several different skin ailments such as infections and eczema. Despite its bitter aftertaste, Fenugreek has been noted as an aphrodisiac and been said to increase the male libido. Ground seeds lend a maple flavor to sweets and candies while its powdered form is used as a softening agent in lip balm. Internally it is said to alleviate cough, bronchitis, respiratory issues, and sinus conditions. Generally the ingestion and topical application of Fenugreek is harmless, however,there are some cautionary notations to accompany its usage. Allergic reactions may include hives, swelling of the throat, lips, tongue, or difficulty breathing. It has been noted that Fenugreek can reduce blood glucose levels, although if taken in conjunction with other medications adverse responses may occur. An additional benign effect of Fenugreek is that it may turn urine a slightly different color and cause one’s sweat or urine to smell faintly of maple. These side effects are rare and have only been found in extreme cases and most often can be avoided if used responsibly.